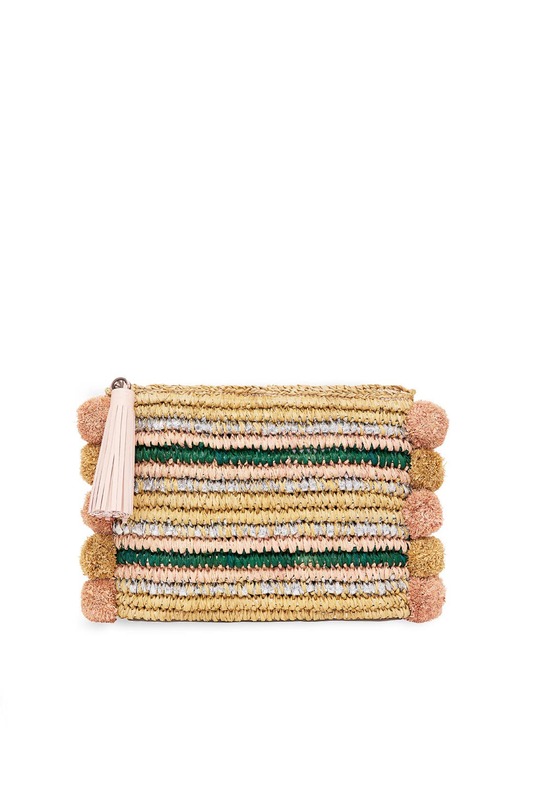 Playful poms frame the slim silhouette of this striped raffia clutch by Loeffler Randall. Pink and green striped raffia pouch with pom poms and tassel accents. Top zipper closure. 11"L x 7.25"W x 1"D.